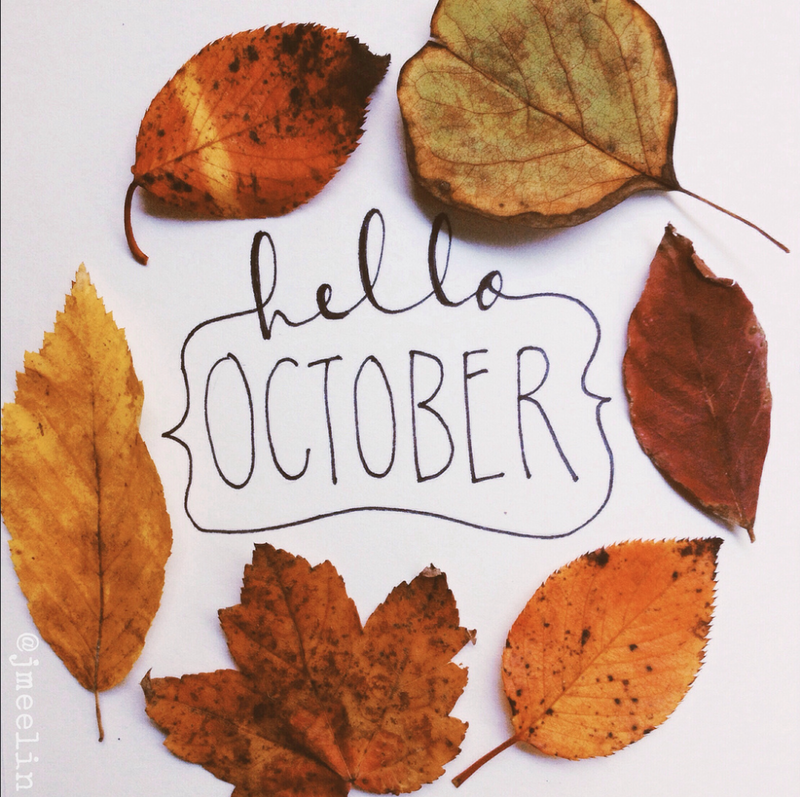 Y'all, I just love October. I love the crisp morning air, sweater weather, apple cider, pumpkin carving, chilly nights, and the scent of cinnamon. I. love. October. September was quite the whirlwind. I set out to make it a month of rest, but we had houseguests two out of the four weeks. So. Not super restful in the sense of lying around doing nothing, but still super fun and full of great memories. I made a plan for the devotional launch and enlisted a few friends who have been talking it up for me, so I'm hoping that this resource gets into the right hands. The contentment challenge has begun, and I'm going to be writing an update on that later this month. We decorated our guest bedroom, but have yet to decorate our master. Womp womp. Exercise is still spotty, but I'm giving myself some grace and just trying to take one day at a time. We've been walking the dogs more often because the weather is so nice! Still struggling with memorizing James, but again, grace. We hosted my mama for a day in Athens with the pups and had so much fun. Plus my friends the Raffertys came to visit! The Rafferty family adopted me in Mexico and are like family to me. Lisa is a dear friend and mentor, and Quincy was in my very first class as a fourth grader! Now she is in high school and I cannot even handle her grown-upness. 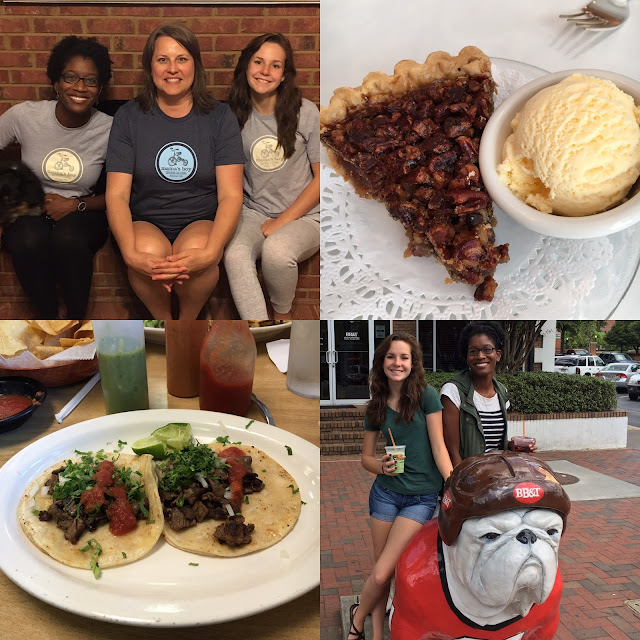 We had a blast in Athens and Atlanta and ate our way through both cities, as you can see above. :) I was also able to spend one-on-one time with several friends this past month, which always fills my cup. My in-laws' house sold in Daphne, AL, and they bought a house in Watkinsville, which is super exciting. It will be so fun to have family nearby. They're pretty great; I hit the in-law jackpot for sure.